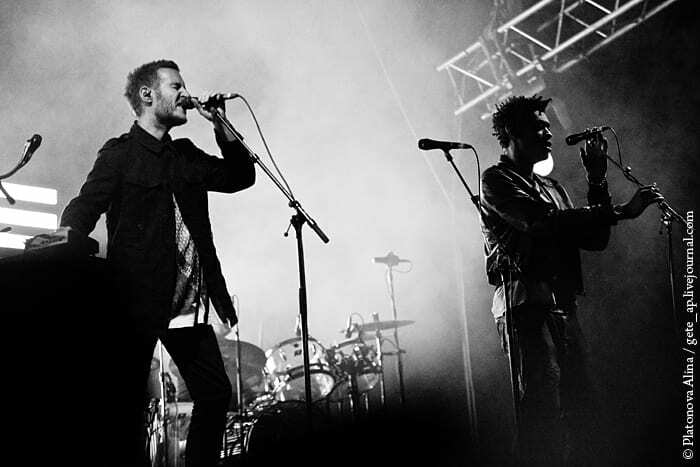 In celebration of 21 years since the release of Mezzanine, the band’s best selling and most critically acclaimed album, Massive Attack have taken to Europe and North America to perform a reimagined version of the LP dubbed Mezzanine XXI. Having been present in Shinjuku, Tokyo for the original Mezzanine tour in 1998 (albeit in utero), I was more than excited to be able to witness Massive Attack’s reimagined third album at Manchester Arena. With founding member Robert Del Naja (known by his stage name as 3D) describing the tour as “a one off piece of work; our own personalised nostalgia nightmare head trip”, as well as all of the original guest vocalists (reggae superstar Horace Andy and Elizabeth Fraser, the voice behind the band’s famed ‘Teardrop’) on board, it is undeniable that Massive Attack have marketed this tour as prestigious, original, and innovative; but does it live up to the hype? What surprised me when the band took to the stage was their opening track: a cover of The Velvet Underground’s ‘I Found a Reason’. This tribute was one of several that were interwoven into the setlist, which included The Cure’s ‘10:15 Saturday Night’ and Andy’s own ‘Seen a Man’s Face’. Whilst I personally enjoyed these covers for what they were, as the originals all appeared in the album as samples, I did find that they took away from the overall feel of Mezzanine, as they deviated sonically from the album’s chilling ambience. This is not to say that these covers were not of high quality – their place made sense contextually, and they certainly did not detract from the magic of the rest of the set. Lead single ‘Risingson’ followed after ‘I Found a Reason’, with its reverb-laden synths and a rap duet between 3D and Grantley Marshall (Daddy G) proving to be simultaneously groovy and hair-raising. Other atmospheric numbers included ‘Black Milk’ and ‘Dissolved Girl’, with the former not being played since 2007 and the latter since 1997. The band also reworked tracks such as ‘Dissolved Girl’, the eponymous ‘Mezzanine’, and ‘Angel’ to have hard rock outros that featured heavy distortion and wah on the guitars; these additions augmented the sinister atmosphere of the songs and added further nuance to the already complex compositions. The highlight of the performance was the final two tracks: ‘Teardrop’, and ‘Group Four’. Fraser’s vocals on these songs was beautiful, with her performance of the emotional and iconic ‘Teardrop’ goosebump-inducing. This was a moment of calm and clarity before the ever-building, intense climax of ‘Group Four’. Lo-fi pianos and drums accompanied 3D and Fraser’s duet, before developing into an explosion of fast, chugging guitars that droned on until slowly dropping off masterfully: the most simultaneously gorgeous and heaviest conclusion to a set I may have ever witnessed. Visually, the band flirted with slogans such as ‘the past filled our vision’ and ‘if you liked that then you will love this’. With footage addressing the opioid crisis in America, as well as doing face swaps of Donald Trump over various celebrities, Massive Attack evidently sought to modernise and re-contextualise Mezzanine into the present day. These endeavours were fruitful, constructing a performance that was even more thought-provoking than the original album. Massive Attack have proved that Mezzanine is still relevant today, both in its newfound political message and in its place in music history as an original album that defies genre categorisation. Whilst the covers were slightly jarring, they still celebrated the power and prestige of Mezzanine, and the band’s performance and reworking of the songs proved their nuances: a truly haunting and atmospheric tribute to an already paranoid-ridden album.